It’s true. When the sun is out, and there are no boat motors revving, or children crying – all you can hear is a subtle lapping of the water, and all you see is the perfect Thai beach with the clear blue water and white soft sand and a few longboats. That’s it. 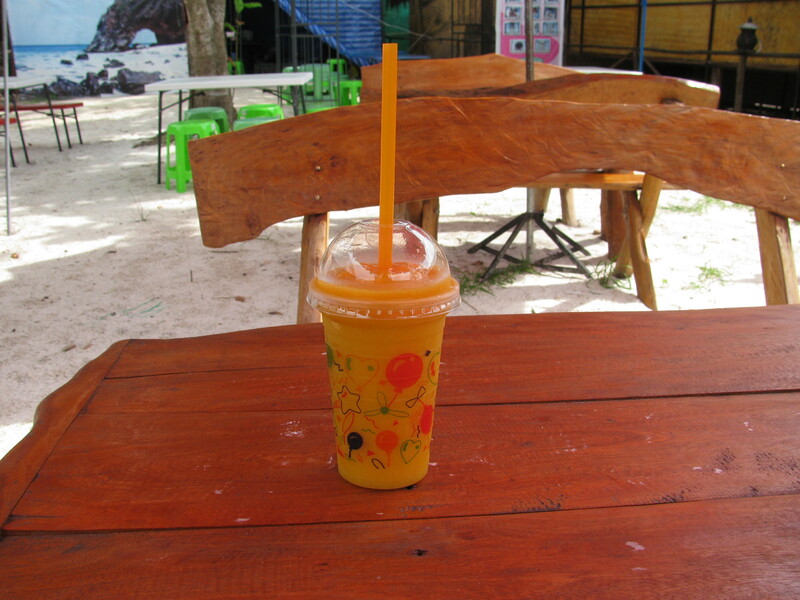 That’s all Koh Lipe is. We came on a Ferry from Langkawi in Malaysia. We boarded a humble boat with 20 other people – all backpackers as far as we could tell, and arrived on the new island 90 minutes later. A longboat transferred us almost to the beach (we had to actually get in the water with our bags), where we walked up to the customs hut to have our passports checked. Then we carried our packs about 200 meters down the beach to a resort and asked if they had any rooms. We booked their cheapest room for 600 baht a night ($20US). We thought we might only stay as little as two nights in Koh Lipe; the island doesn’t have much to it, and there are plenty of islands in Thailand to discover. But once we settled in the thought of an island with nothing to do sounded fabulous. So the next day we extended the room so that our stay would be for six nights. Since we seem to only be able to alternate between sunbathing and swimming laps around 8 hours out of the day, here’s a brief overview of what our moments away from the lounge chair have consisted of. 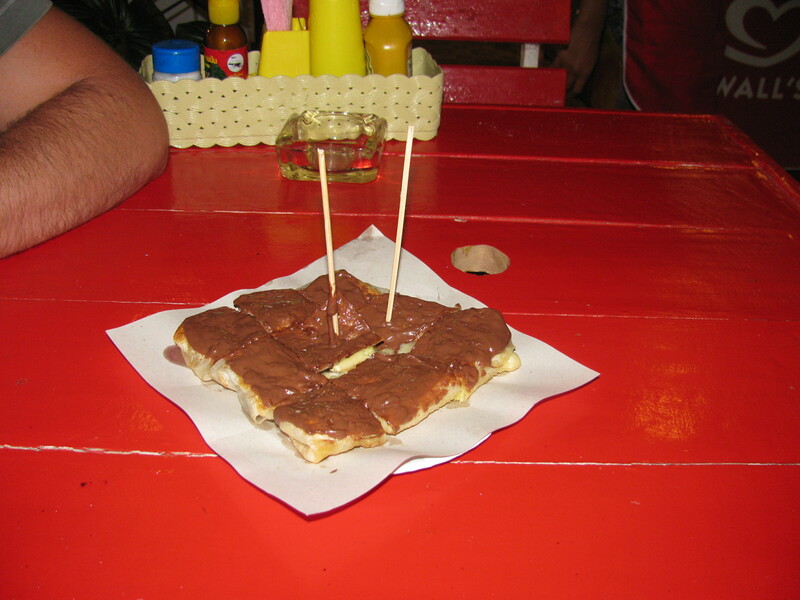 Thai pancakes are actually closer to a crepe. I think ordering is as much fun as eating the pancakes. The combination possibilities seem endless. First you get to decide what fruit goes inside. Will it be banana and strawberry? Or maybe Pineapple and Coconut? Then you have to decide the topping…Honey? Chocolate? Flavored Icecream? All of the Above? Yes, Please! I think Roti is supposed to be a dessert, but it tasktes just fine from breakfast, lunch and or 3pm snack. These Yogurt and fruit smoothies are perfectly delicious. In fact, I think life doesn’t get much better than sipping a Lassi for breakfast around 10:30AM when you’ve just managed to roll yourself from your bed to the beach. I’m a big fan of Mango and lime, but find Watermelon surprising delightful as well. 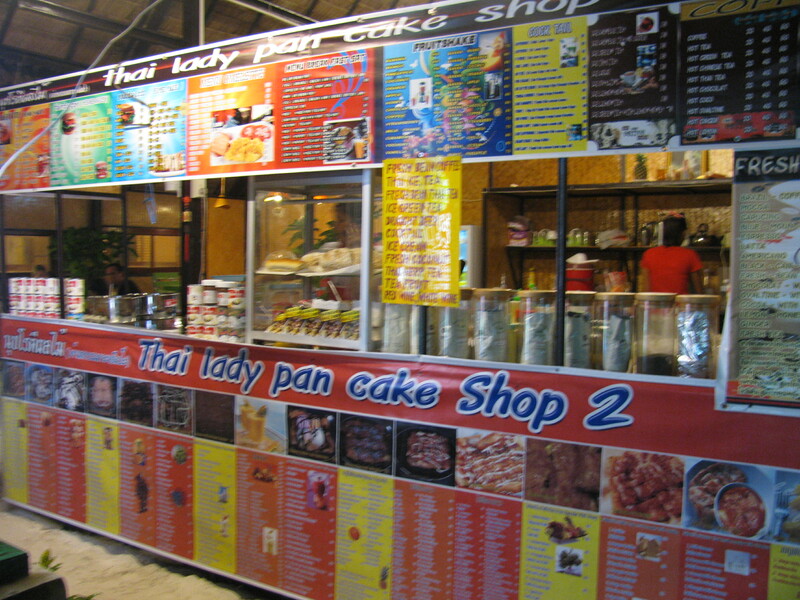 You may have had Pad Thai before, but in Koh Lipe they only seem to have Pat Thai – but that was alright with Tim. He announced that he could eat the stuff everyday after his first bite. I instantly issued the challenge that he wouldn’t last longer than four days…and that’s how many days he lasted. He ran out of combinations after four: he had chicken, shrimp, pork, and seafood; then he called if quits (for about 48 hours). Hammocks, wicker platforms, and mats with triangle cushions seemed to be the three options at the several bars that lined the beach. You could also sit on the wood stomps that served as barstools for the bar that was usually built around a large tree growing out of the center of the hut. These weren’t bars that were trying to be beachy and chill – they just honestly were humble little shacks – with a priceless view of the sunset. 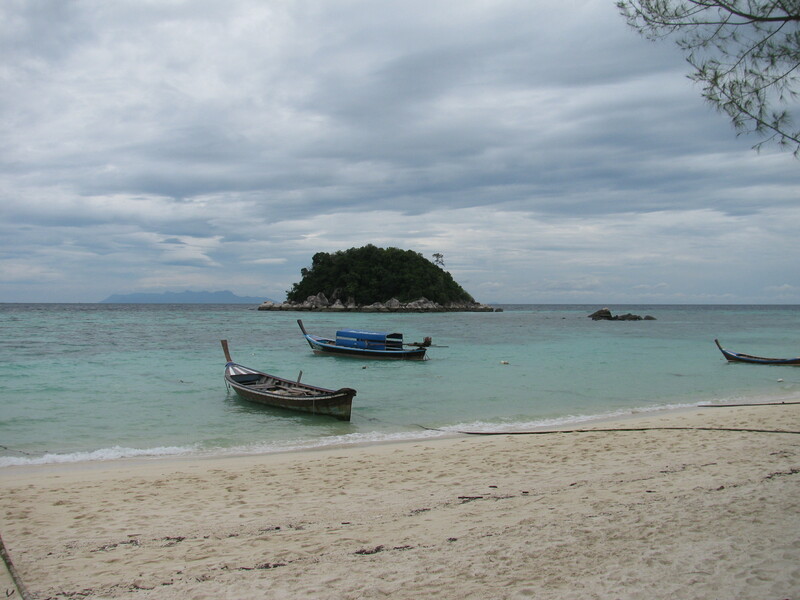 Koh Lipe is the smallest of the islands in the area. The other islands were designated as a national marine park. The fish in the water swim around you on all sides and the reefs are full of color with plants opening, closing and changing colors as you swim by. The untouched beaches aren’t too bad either. 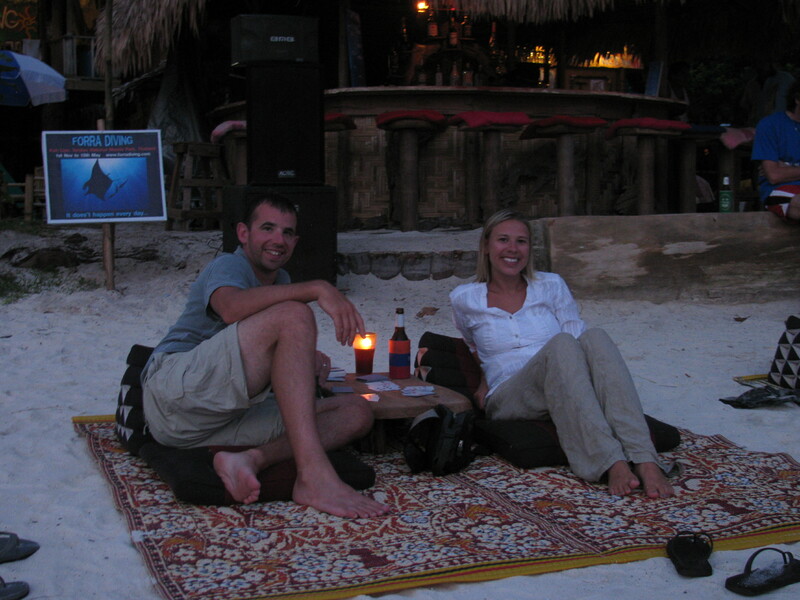 Life on Koh Lipe was nice. It was our first break from the travel grind. We didn’t mind moving on knowing that we had more beaches ahead, but we had heard ominous words from the people we had met that the further north you go the more overrun the beaches become. Was it true? We were about to find out. That’s what I like about traveling – you can sit down, maybe talk to someone interesting, see something beautiful, read a book, and that’s enough to qualify as a good day. You do that at home and everyone thinks you’re a bum. I showed this post to Brian and he would like to accept the pad thai challenge! His choices will run out after shrimp since we no longer meat. I also like you cliffhanger at the end of you post…..let the adventure continue. There is sometimes also squid, fish, general seafood, and then of course tofu. I’ll visit the no meat thing with you at another time, but your decision disappoints me -a foodie that doesn’t eat meat? I don’t know. For the record I could have easily won the pad Thai challenge but we didn’t have time for lunch on the 5th day. 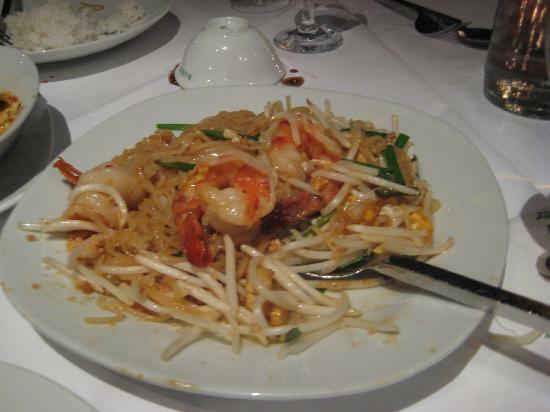 I felt cheated, but was happy to move on to the rest of the delicious Thai dishes. If i discovered the northern Thailand specialty noodle dish called khao soi earlier in our trip up north i would have accepted a similar challenge. This ended up being my favorite dish of the trip so far. Tell Brian if he wins the challenge I will buy him a tofu burger when we get home. I know this sounds like a rediculous question but…what are the bathrooms like? do you have flush toiletys. Hey, I’m an old person. Bear with me. haha. When you’re hanging out in the middle of nowhere with a hill tribe you have to use a squat toilet. In hotels it’s always a western toilet, every now and again you have to use a bucket to manually flush but mostly they have automatic flushes even. It’s pure luxury when you’re even allowed to put the toilet paper in the toilet instead of the trash bin.